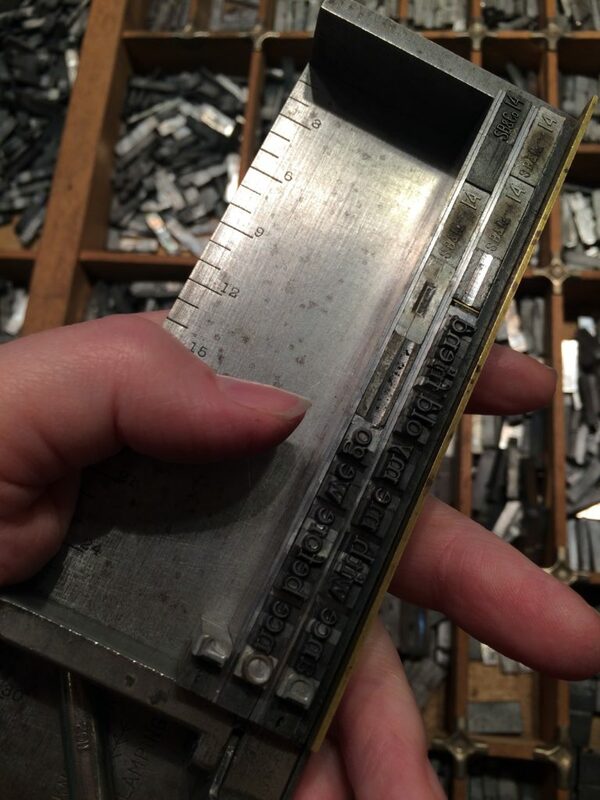 I recently took a 3-day workshop at Barbarian Press in Mission, BC, where I learned the basics of letterpress printing from some of the masters in the game. 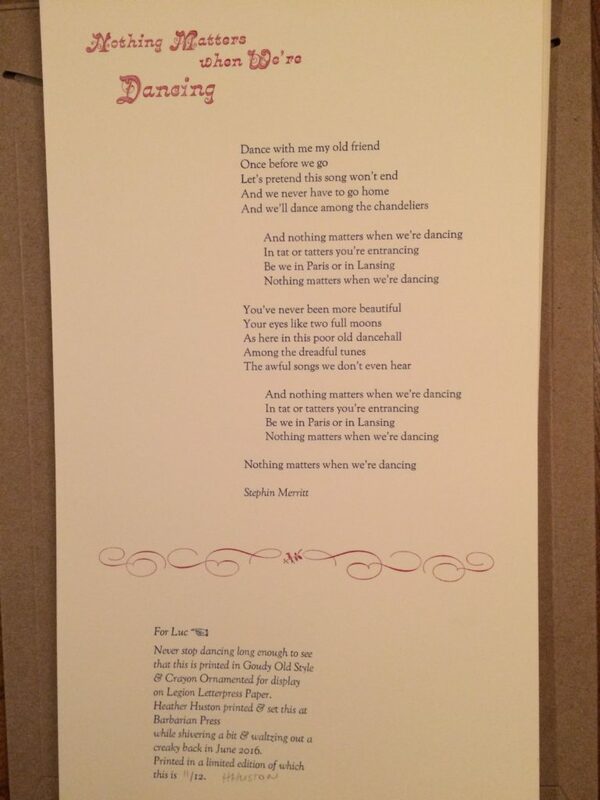 I printed a broadsheet with the lyrics from “Nothing Matters When We’re Dancing” by the Magnetic Fields. 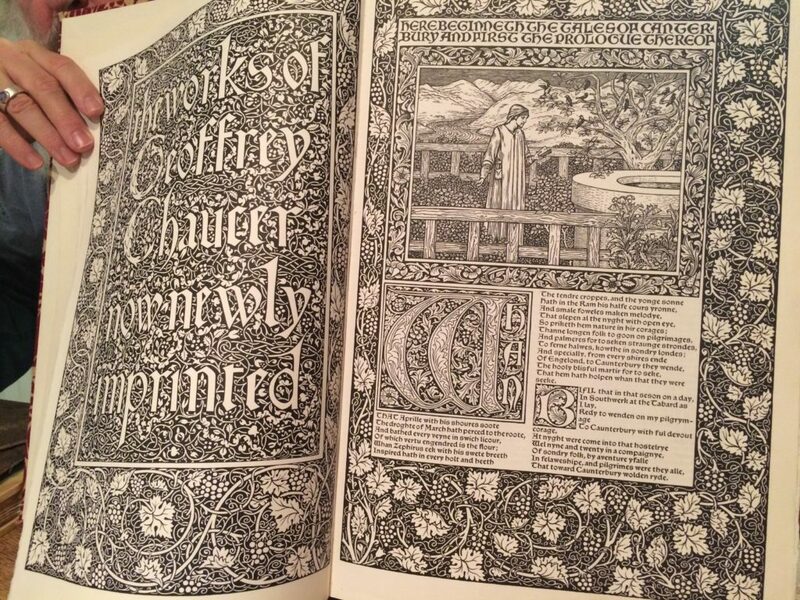 It was an excellent opportunity to peruse a range of beautiful printed books, sort through tons of old type, and gain valuable tips on letterpress printmaking. Pictures below! 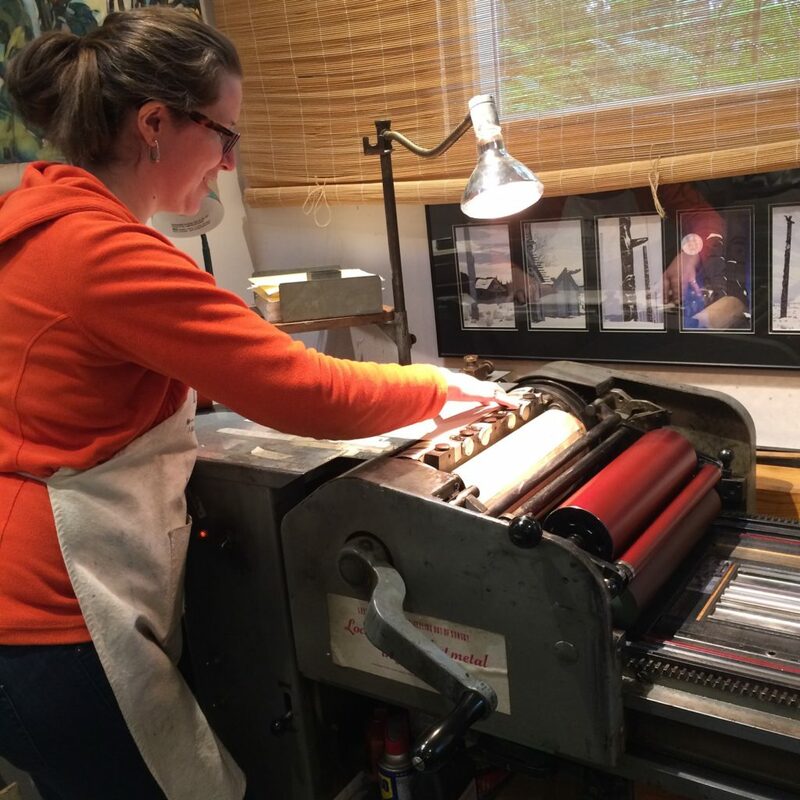 Printing on a Vandercook Press. 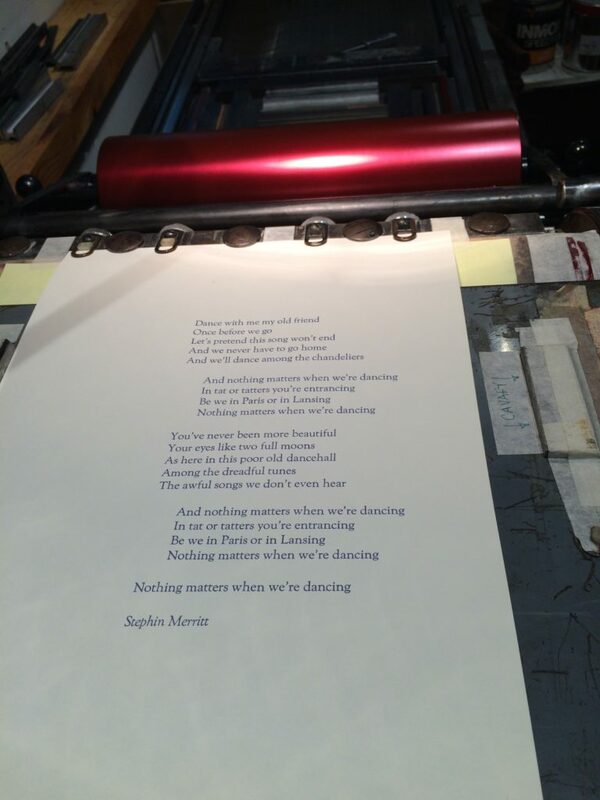 Nothing Matters When We’re Dancing – printed broadsheet featuring lyrics by Stephin Merritt of the Magnetic Fields. 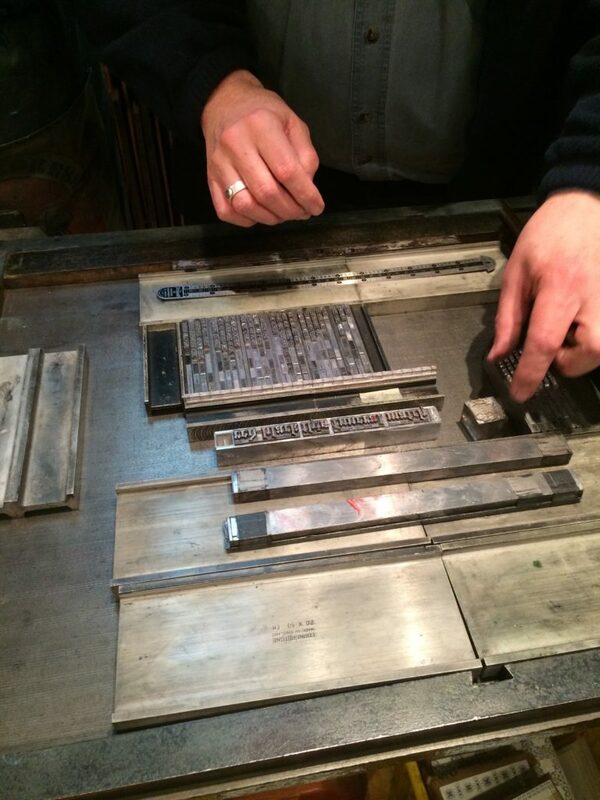 Setting type on the press. Setting up for the second colour on the Vandercook. This entry was posted in Studio (in production), Travel and tagged Barbarian Press, Heather Huston, Letterpress, printmaking by printerbird. Bookmark the permalink.